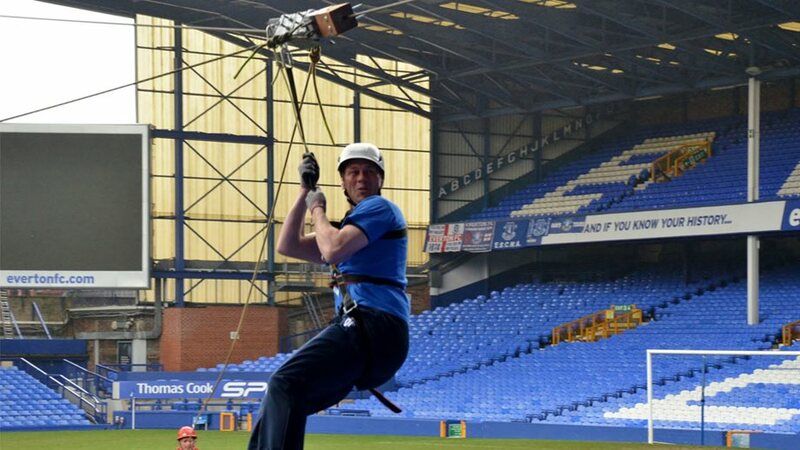 We've got places in this year's longer and faster zipslide across Goodison Park, home of Everton FC. This is your only chance this year to ‘zip’ from the Top Balcony corner of the Main Stand, close to St Luke’s Church, on a diagonal passage over the hallowed turf, ending on a specially-constructed platform in the Bullens Road corner of the Sir Philip Carter Park Stand. There is a non-refundable Entry Fee of £20 per person. Sponsorship target is £150 per person.